Rabat. The second city I chose for my trip to Morocco. 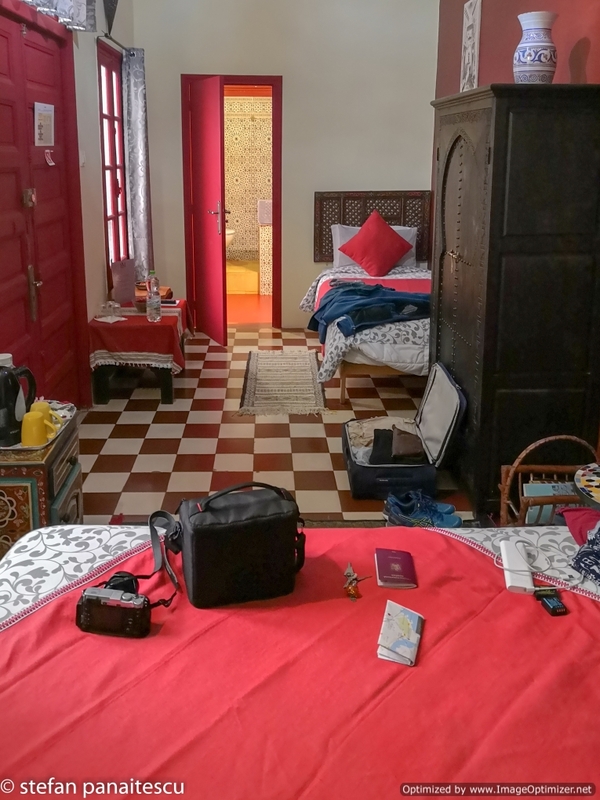 After a very good accommodation in Chefchaouen I went to Rabat knowing that the mark on booking.com was good but I didn’t expect so much from the place I will review today. 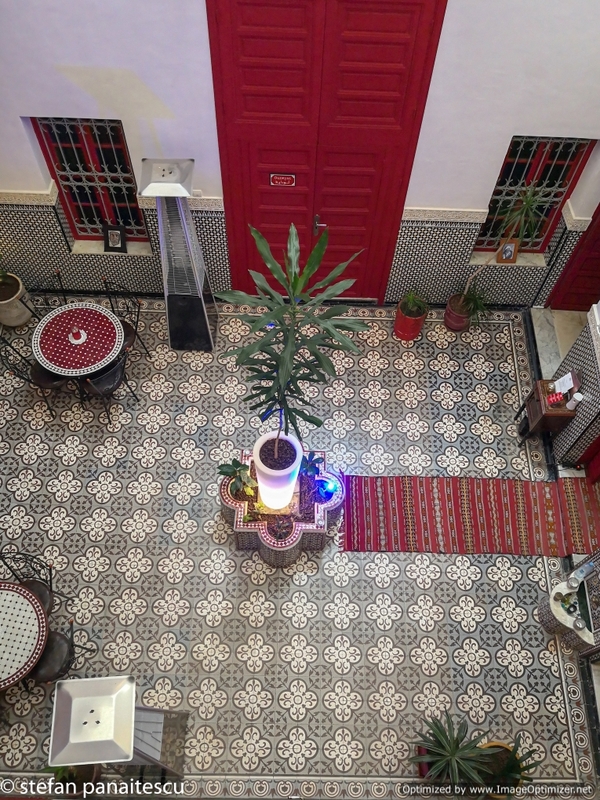 Riad Meftaha was carefully chosen after I studied many accommodation offers in Rabat. You see, I wanted something really close to the Medina and the important sights because I didn’t wanted to take cabs or worse drive from one place to another. And after studying a bit I chose perfectly. The Riad is about 200 meters away from one of the gates to the old Medina. So it is really hard beating this in terms of proximity. Now I know what you’re thinking. Being so close to the Medina isn’t it chaotic? Well it isn’t. Because the Riad is part from a group of buildings pointing to a secondary street and not facing the main street. You can rest assured you will sleep like a baby, unlike the sleep I had in Athens when I chose a hotel and a room facing the main street. Since many travelers come to Rabat by car you’ll be glad to know that there is a paid, guarded parking lot about 150-200 meters from the Riad so you can easily drop your car there. Before reaching the Riad use booking.com‘s assistant and ask them for the address of the parking lot so you can put it into your gps. Unfortunately I forgot to write down the address and can’t help you there. At last, before moving forward, the parking is cheap, about 3-4 euros for overnight so it is really a great option. Before going further and reviewing the staff and the room I would like to take a moment and talk about the Riad. You see, I never been to a Riad before so when I entered i started looking around curiously. I studied the format, the furniture, the inside, the structure and the architecture. Writing this review makes me sad in a way because due to the reasons I exposed in my first article from Morocco I chose to leave the country sooner and did not end up visiting two other riads, one in Meknes and one in Fes, that looked downright amazing from the pictures I saw on booking.com. Back to riad Meftaha I must confess that I really enjoyed the interior, the decorations, the plants inside, that big gap when you just look up to the ceiling, all added to a first riad experience that I truly enjoyed. As a bonus, as I was checking in, I was served with tea and could unwind on the sofa before hitting the town to discover it. When it comes to staff the riad is simply great. All the people that I interacted with made me feel great and as I wrote on mt first article from Morocco I don’t know if this is how everybody involved in tourism behaves but trust me if this was present throughout Morocco I would go back to visit this country anytime. All the staff I interacted with gets a big 10 and I couldn’t be more pleased with them. 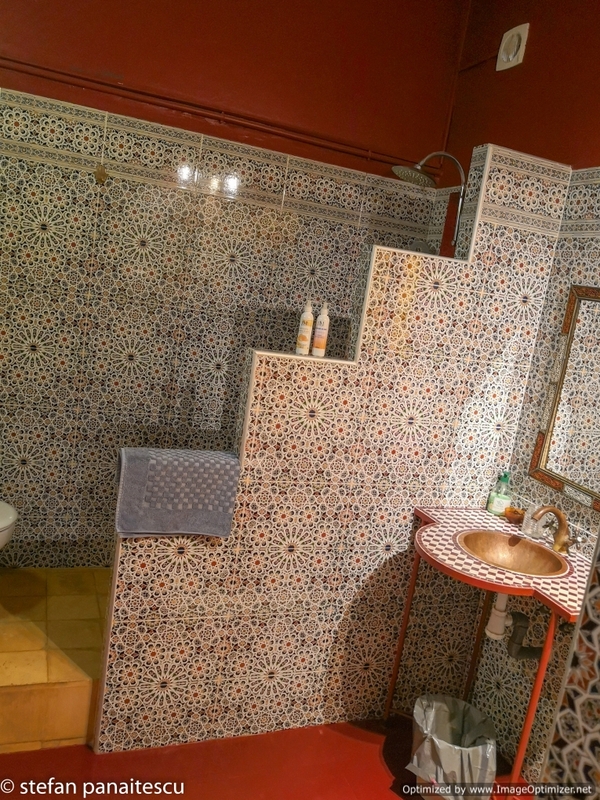 When I made the booking I really wanted to sit at this riad due to the great mark it has and the positive reviews and I didn’t care much about the room size or type. Luck has it, the only room left when I booked was a triple room so you can imagine how much space I had. I got a double bed just for myself and it was amazing. Long and wide, no feeling of having my feet dangle outside the bed like I felt when visiting some hotels in Andalucia earlier that year. The bath is great. Is big, clean and just a pleasure to take a good, warm shower after a long day of exploring. Yes, water also comes hot(no need to worry about this) but I enjoy warm to a bit cold water when washing. That is due to the reason that hot water makes me sleepy so I don’t use it that much/often. 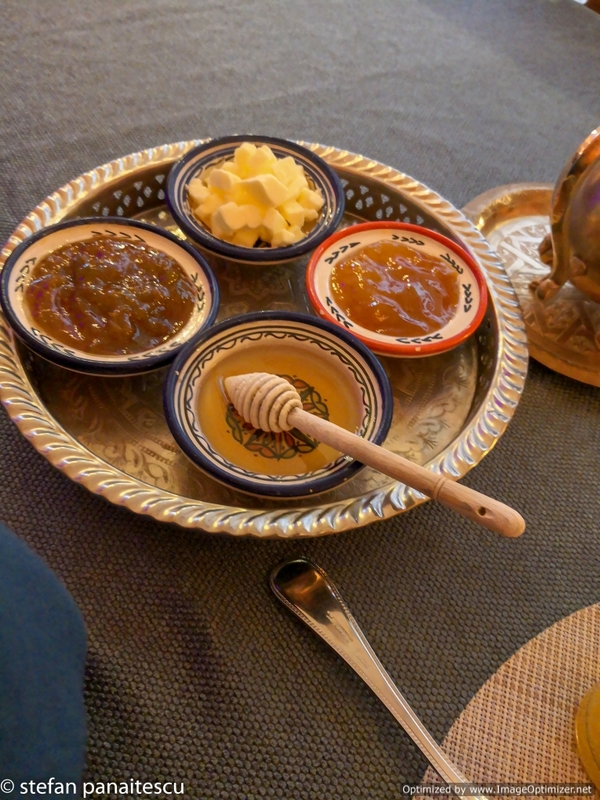 Breakfast in the morning is another big, big plus for this riad. You have so many options available and the food is really great. Be it simple fruits or yogurt or maybe sweets I am sure you will enjoy starting the day with a big breakfast at riad Meftaha. I think that the best part or one of the best parts of the riad’s is the terrace above the building. That night, after walking 25-26 kilometers in Rabat I just wanted something sweet to eat and a place to relax. 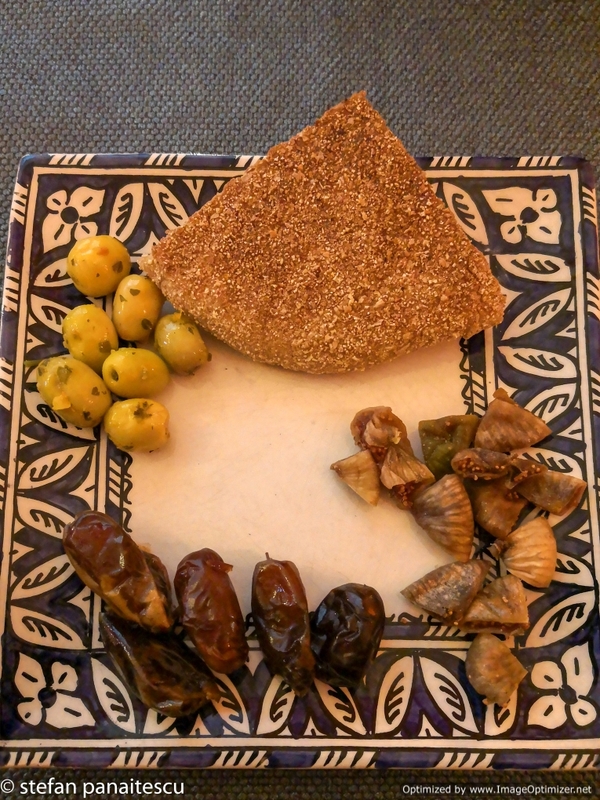 So after asking one of the girls(think it was the cook) for something sweet and laughing when I showed her on my phone a picture of Moroccan sweets she filled me two small plates and I went upstairs to enjoy the terrace. And it was the perfect end for a day in which I walked a lot, seen a lot, marveled a lot but also got frustrated a lot with things outside the riad. As i was sitting in an wooden chair and stretching I was eating the small sweets and talking to someone back home and that made for a great ending of that day. All in all if you ever plan to visit Rabat, this place is great. 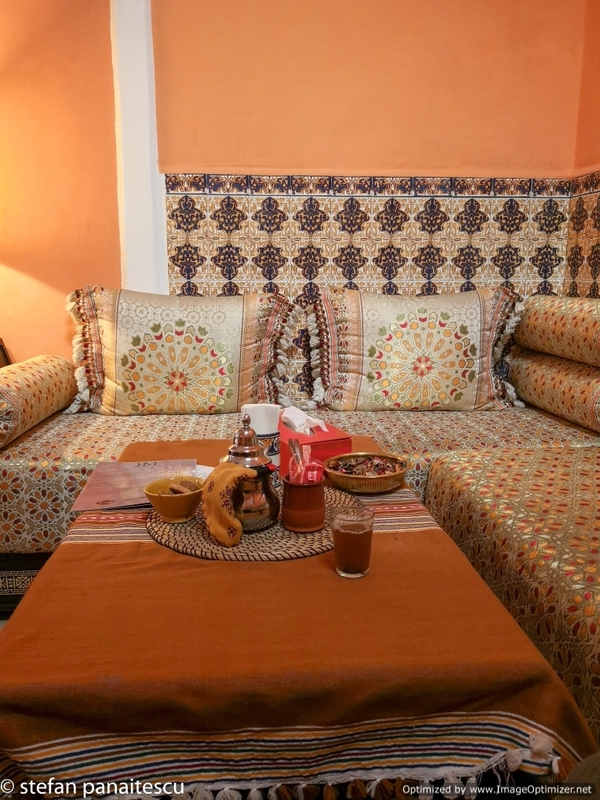 I highly recommend this riad for so many reasons and I am sure that if you stay here you’ll be just as happy with it as I was.